Shonen Jump’s super-powered series leaps onto the big screen, but loses some of its quirk along the way. After three seasons of evoking nearly every emotion I know how to feel, My Hero Academia is finally getting its first feature-length film in My Hero Academia: Two Heroes. 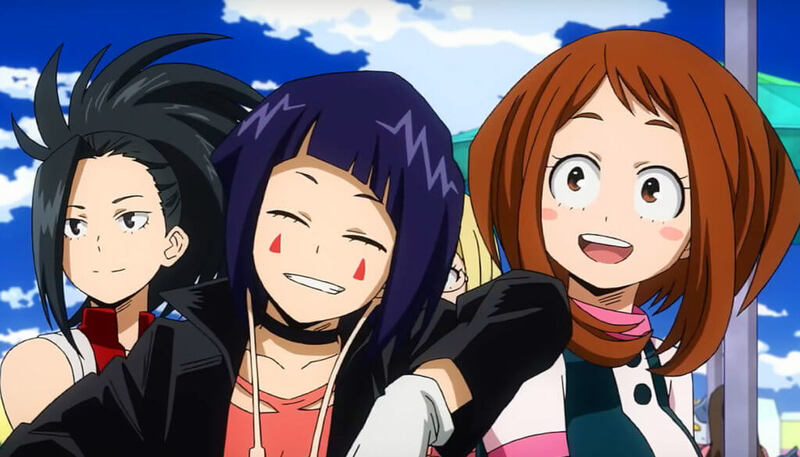 Director Kenji Nagasaki and Studio Bones reprise their roles from the series to bring us a look at life outside of UA, as we follow All Might and Deku to I-Expo, a hero tech convention held on a remote island. You can probably guess the story that follows (the world’s most valuable technology all in one place – what could go wrong? ), but what the movie lacks in originality, it makes up for in animation, along with a few nuggets of All Might’s backstory. While longtime fans can appreciate nods to past episodes, Two Heroes fails to pack a punch, and ultimately feels like a shallow attempt at replicating the series’ most memorable moments. Don’t get me wrong, the movie’s handful of high points are very good. For instance, we’re immediately treated to a flashback of young All Might in his prime chasing down villains in a Batmobile-esque cruiser and throwing [insert state] smashes left and right. If you think that sounds Plus Ultra, get ready to go beyond – All Might has eyeballs. Unfortunately, things begin going downhill after gazing into those beautiful baby blues. The remainder of the movie follows a familiar and fairly predictable plot of “our trusty UA students must work together to save the adults and take down the big baddie.” Normally, My Hero Academia does a fantastic job of turning the expected on its head to create something new and unique, but that magic seems to have been lost in translation from television to silver screen. Outside of All Might and Deku, each character’s contribution to the plot is minimal at best. The thoughtful twists and turns we’ve grown accustomed to in the series are instead replaced by frame after frame of big-budget explosions. 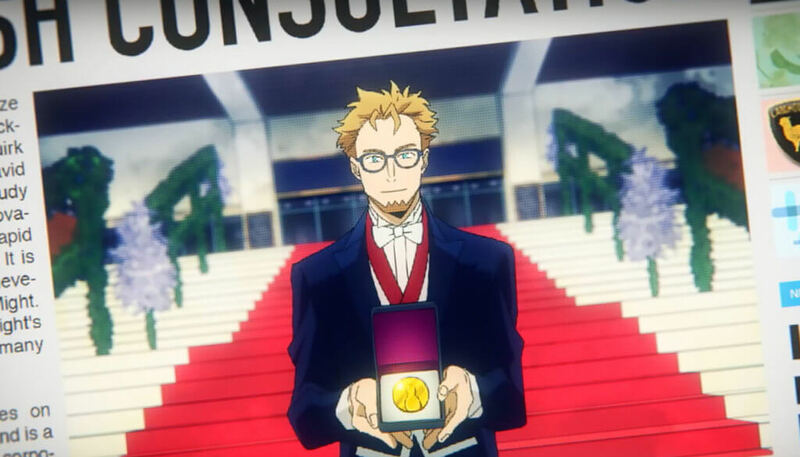 David Shield, inventor extraordinaire and All Might’s old partner, is sadly forgettable, despite being a major catalyst in the movie’s events. Melissa, his daughter, has a few nice on-screen interactions, but ultimately suffers the same fate. Wolfram, the film’s antagonist, is arguably the most interesting addition. Especially with his completely original, totally-not-Magneto metal bending quirk. For a variety of lackluster reasons, several other UA favorites also show up, only to ultimately contribute to the action rather than the storyline. Sure, it’s awesome to see your favorite characters flex on villains, but one of my main concerns with Two Heroes is the prioritization of flashy battles over the introspective ones that makes the show so unique. Speaking of battles, Two Heroes has visual effects in spades. While the majority of animation receives the same high-quality treatment seen in the series, a few epic scenes are easily some of Studio Bones’ most ambitious to-date. Even though several fights ladder up to predictable outcomes, it’s still a thrill to watch them get there (and the film’s final battle out-blasts any we’ve seen thus far). Of course, the animation is no substitute for good storytelling, but it certainly helped lessen the blow of the film’s drawn-out, hour-and-a-half runtime. My gut reaction is to say My Hero Academia: Two Heroes simply feels like an extended episode, but that would actually do the series a disservice. 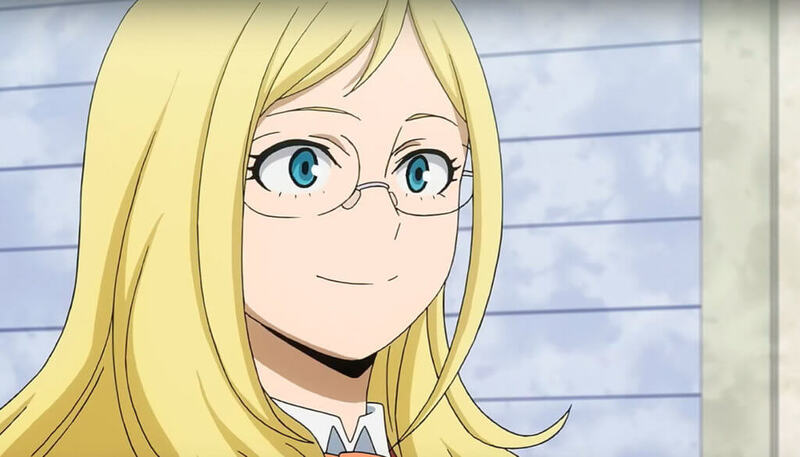 What I appreciate most about My Hero Academia is how it weaves together a near-seamless tapestry of characters, motives, and consequences that underlie every episode. Two Heroes takes those same robust character threads, but instead runs them parallel with hardly any overlap. Thankfully, All Might continues his work as the #1 hero by saving the film. Seeing him back in action made the events that take place in season three all the more impactful, and getting a few scenes of backstory help answer the (still numerous) questions of how he became the Symbol of Peace. My Hero Academia: Two Heroes is like a glimpse of what MHA would be in a different timeline – if predictability and pizzazz pushed meaningful characters by the wayside. By normal shonen standards, the movie was great, with plenty of fun, action, and laughs. 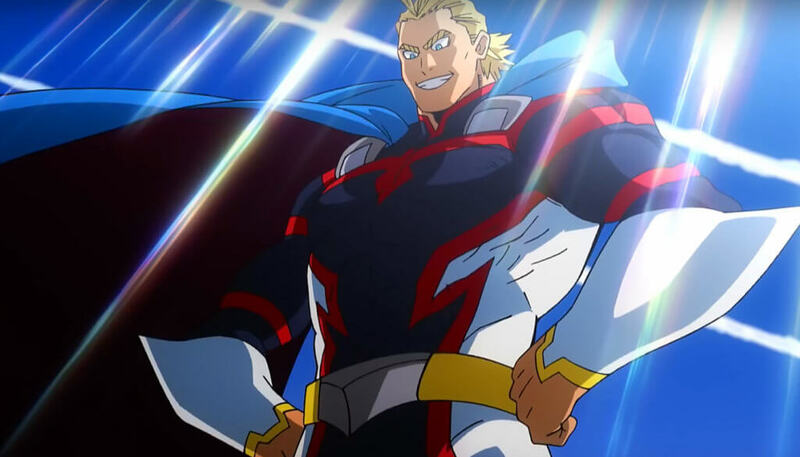 But based on MHA’s own precedent, Two Heroes is less All Might and more just alright. You can also watch My Hero Academia: Two Heroes in U.S. and Canada theaters September 25th – October 2nd. Special thanks to Funimation for giving us the opportunity to watch and review My Hero Academia: Two Heroes in advance of the U.S. screenings. Did we mention young All Might? Friendly neighborhood gamer and anime boy.